After reading Yann Martel’s Life of Pi, I had been eagerly anticipating for his next book. Finally, after a few years of waiting, I was exhilarated when I heard of his new release: Beatrice and Virgil. His first book, Life of Pi left me dumbfounded at the end of the story. I recommended Life of Pi to my best friend, Chin Lay and she too gave an excellent review about the story. So did my other friends whom I lent the book to. We eagerly awaited for his next masterpiece. And finally it came. I devoured Beatrice and Virgil within 3 days. I was hooked to the story – and more than that I was possessed to read till the end to find out the twist to the story – the kind of twist to the story that Yann Martel had for Life of Pi. But, honestly, I concluded that there can be only one masterpiece created by an artist. For M. Night Syamalan it was the movie Sixth Sense, for Leonardo da Vinci it was the Mona Lisa portrait, and for Yann Martel it is the Life of Pi. Beatrice and Virgil revolves around the story’s two characters, i.e., Beatrice the donkey and Virgil the howler monkey – and I am not going to disclose any more information – that would really spoil the suspense. My personal opinion is that the synopsis on the book’s cover gave away too much information – thus, spoiling the suspense. I kind of expected the suspense to ‘pop’ out from the story at the end – but I ended up disappointed. Probably my expectation was too high – but I would still blame it on the too-much-information-revealed in the synopsis of the book. 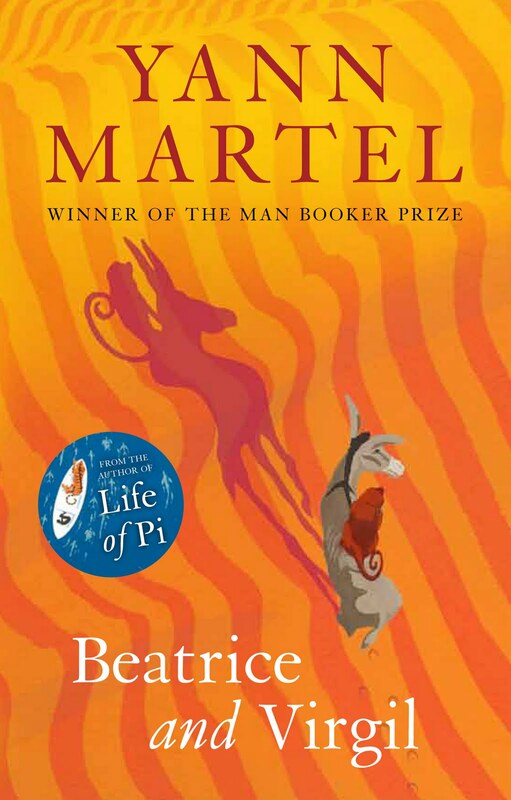 However, the characters in the book and its plot and the story’s ending was fantastic; but it doesn’t resemble the same effect that Life of Pi had – which was hands down the author’s masterpiece. If you want a real suspense, don’t read the synopsis. Read this book with an open mind and expect the unexpected – then you would really appreciate the story and you would really be taken aback with the ending of the story – the twist to the story. Basically, in both his books, Yann Martel’s way of writing revolves around using animals to examine our humanity. He has an ingenious way of writing that ruptures the division between the real and the imagined.